What hub is used? (brand/specs?) Thanks. The specs are listed in the advert, the brand is unbranded. Does this wheel have a flip/flop hub? I.e. can the hub accept a freewheel in addition to or instead of the fixed cog. Also, what is the axle width, please? I'm looking for a 120 width. Thanks for any help. Yes this is fitted with the fixed sprocket and will take a standard freewheel on the other. The axle width is 120mm/130mm. I Am Looking For A 130Mm Rear Wheel To Put On My Fixed-Gear Bike. 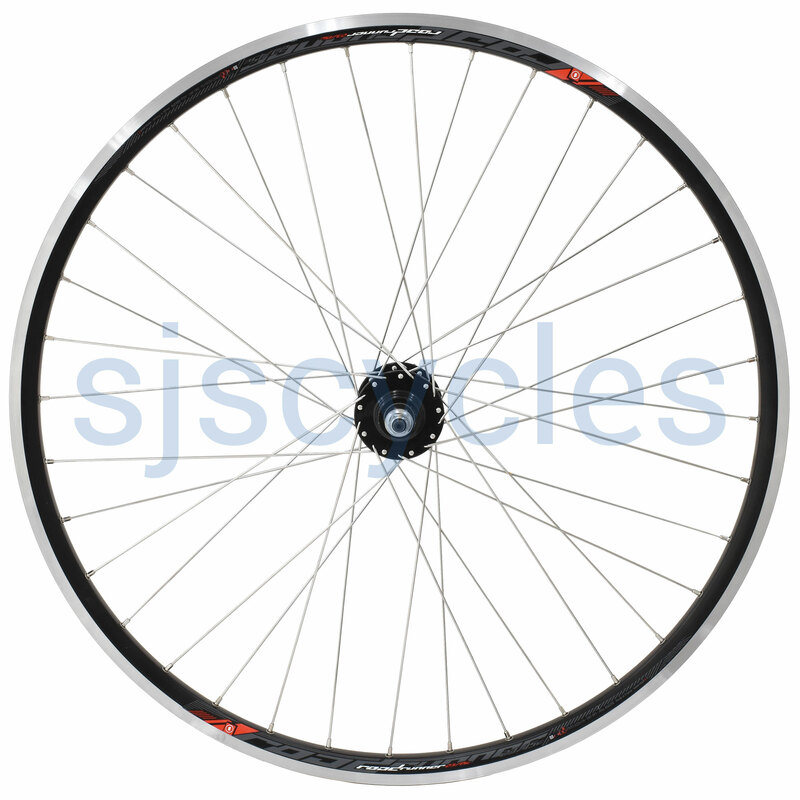 This wheel that you have left your question on has a 130mm OLN spaced hub so will be suitable for your needs. I've got a rebuilt rear rim for a bike I've purchased. Do you have any Ryde Racer front rims built on offer so I can match? Unfortunately we don't have any matching front wheels pre-built in stock. We would be able to do a custom build bu this would put the price up much higher that even the rear wheel currently is.